For over decades, magicians have always obsessed the audience across the globe with their talent and supernatural, including magic to make them believe even when it is not impossible. Magicians find this as a great career option for themselves to become the world famous and ofcourse super-rich. Here is the list of top ten greatest magicians of all time. 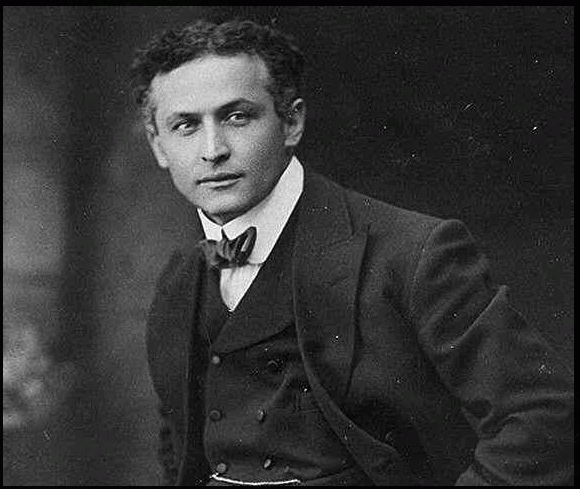 Harry Houdini, born in Hungary was an American illusionist and stunt performer, well-known all over the world for his sensational escape acts. He was blessed with such great mental abilities and escape artistry that people often considered magician list as incomplete without Harry Houdini. That is why he was the greatest escape artist of all time. He often said, “No prison can hold me; no hand or leg irons or steel locks can shackle me. No ropes or chains can keep me from my freedom.” One of the greatest magicians struggled during his start days in show business, however, later he found fame as the “King of Handcuffs.” He got his first break in 1899 when vaudeville impresario Martin Beck booked him for a tour of the United States and Europe and later Beck’s advice, Houdini starts making escapes as a central part of the whole act. Also, he challenges audiences to tie him hard and even lock him in handcuffs and after that, he escapes from the jail. He is also an aviation pioneer and bought a French-made Voisin biplane while he was in Europe in the year 1909 and became one of the private pilots of his time. Steven Frayne, better known by his stage name Dynamo is an English magician, who is best known across the globe for his television show Dynamo: Magician Impossible. His television show has also won the Best Entertainment Programmed award at the Broadcast Awards in the year 2012. Also, in the 48th Annual Awards show by The Academy of Magical Arts, Dynamo won the Magician of the Year award because of his unbelievable and incredible magic shows on TV. Additionally, known as hip-hop magician and the top dog in street magic. Now, magicians have started focusing on Vegas rather than Camden High Street but Dynamo has mastered his skills when it comes to freaking out punters outside boozers. He is considered to be the king of cards and can even walk on water. Also, he is known for doing magic in front of the audience that is hard to believe. David Seth Kotkin, professionally knowns as David Copperfield, is an American magician, who is known as one of the greatest entertainers of all time. Described by Forbes as the most commercially successful magician in history, David Copperfield has become one of the highest earning celebrities in the world. He is well-known for his fantastic combination of storytelling and illusion, that had made him earn 11 Guinness World Records in a career life of over 40 years. Also, named a Living Legend by the US Library of Congress, he is a star on the Hollywood Walk of Fame, and a knighthood by the French government. Being a magician is not his only job because he also manages his own chain of resort islands in the Bahamas,11 islands called “Musha Cay and the Island of Copperfield Bay.” Parents of the great magician are Jewish, his mother name is Rebecca who is an insurance adjuster and his father, Hyman Kotkin owned a men’s haberdashery called Korby’s. One of the greatest magicians developed his interest when he was only 10 years under the name of “Davino the Boy Magician” in his neighbourhood and later he is the youngest person admitted to the Society of American Magicians. Christopher Nicholas Sarantakos, better known by his stage name Criss Angel, is an American magician, illusionist and musician who performs mind-blowing and extremely dangerous magic tricks. He is a highly provocative illusionist and performs the tricks that can shiver down one’s spine. Some of his tricks include hooking his back by suspending himself in the air, rising in the air, turning coffee into cockroaches, setting him on fire, and many more. According to the International Magicians Society called Criss Angel as the Magician of the Century in 2010 and magician of the decade in 2009. Also, the greatest magician has made some of the world records due to his amazing performance. The famous magician born in New York in 1967 and John Sarantakos is the father of Angel. His father owns a doughnut shop and restaurant. Since his childhood (7 years), he was interested in with magic and earned $10 after his first performance. David Blaine, an American magician, illusionist and an enduring artist, is famous for his high-profile feats of endurance. David Blaine is well known for setting himself high in breaking several world records. Also, his television show Street Magic was a breakthrough in television magic. Moreover, his other daring wizardry includes, “Buried Alive”, “Frozen in Time”, “Vertigo”, “Electrified: One Million Volts Always On” and “Drowned Alive.” One of the greatest magicians of all time known for entertaining millions of people across the world. He broke the Guinness World Record for static apnea with oxygen assistance on April 30, 2008. He performed this on The Oprah Winfrey Show by holding his breath for 17 minutes and 4 seconds. He was born in Brooklyn and his family background has multiple cultures because his father William Perez was of half Puerto Rican and half Italian descent and his mother was of Russian Jewish heritage and a school teacher. Penn Jillette and Teller or just Penn & Teller are American magicians and entertainers, noted for their ongoing act which combines elements of comedy together with magic. They have performed together since the late 1970s, and their duo is a great mix of humour. Some of the daring stunts of Penn and Teller are hanging upside down on a cushion of spikes, submerging in a tank of water and running over by a tractor-trailer. At an early stage, Penn Fraser Jillette became an atheist after reading the bible. There was one occasion where he has been asked to leave the church when he asked some questions regarding the bible. He considers illusionist James Randi as his idol and it is one of the primary reason he chooses to be a magician and uses his approach of deception to entertain his audience were others who portray supernatural powers. They have won Emmy Award for the PBS special “Penn & Teller Go Public” in 1985 and were also honoured with Richard Dawkins Award in 2005 for raising public awareness in Atheism in 2004. Harry August Jansen is a world famous professional magician popularly known as Dante the magician. Born in Denmark, Dante has travelled all over the world with the name Dante the Magician. Historically, when Dante was at his career, that time period was termed as the “Golden Age of Magic”, which ended after his death. As one of the most famous magicians of all time, Dante has mystified and thrilled millions of people worldwide through theatres, films and television. One of the greatest magicians is able to accurately predict the winning lottery numbers in the year 2009. Derren Brown is an English magician, illusionist and mentalist, who has produced several shows for the stage and television in both series and specials. He has also written many books for magicians as well as for the general public. However, Brown does not claim to possess any supernatural powers and his acts are often designed to expose the effects which are achieved through “magic, suggestion, psychology, misdirection and showmanship”. His magic tricks are done with an essence of pure psychological which includes, traditional method, conjuring method, cognitive psychology, hypnosis, body language reading, subliminal, memory techniques and ideomotor suggestion. But, he is powerful enough to read a person whether the person is lying. Brown uses a wide variety of techniques to achieve his tricks which is difficult to guess. Previously he was an evangelical Christian, however, later he opted to be an atheist. He is not a believer of psychics can contact the dead or read fortunes to predict the future. He is an owner of the parrot called Figaro and Derren is a patron of the National Parrot Sanctuary. Richard Jay Potash, professionally known as Ricky Jay, is an American magician, illusionist, actor, and writer. Apart from being one of the most famous magicians of all time, he is also the most gifted sleight of hand artist still to be alive”. In addition to this, Jay is also known for his card tricks, card throwing, memory feats, and stage patter. He was also inducted in Guinness Book of World Records for throwing the card at a speed of 90 miles per hour and at about 190 feet. Harry Bouton Blackstone Jr. is an American stage magician, illusionist, author, and television performer. He is well known across the globe for pulling an estimated 80,000 rabbits from his sleeves and hats. Also, he is one of the greatest magicians of all time, who has entertained people with his fantastic mental abilities, tricks and magical powers globally. At the time of his death, he was the most awarded magicians of all time who has been awarded the Magician of the Year award in 1979 and 1985 by Academy of Magical Arts. These are the top 10 greatest magicians of our time. Do post your comments.